It’s Going to Be a Great Journey This Year! We’ve survived the first couple of days of 2014, and from the look of responses received on my post on journeying in the new year with a Patron Saint, it looks like a good number of you are off to a fantastic start! I mentioned in that post how Saints sometimes choose us when they want to help us in certain circumstances (that’s how we sometimes end up with more than one at a time). Sometimes others choose for us, and, in the case of our religious communities, it is by lottery. Prayer cards are placed upside down on a platter and one by one we choose a card from among them. I thought I would report back on the results of some of our communities’ ‘lottery’, resulting in Patron Saints for this year. Sister Jenny received Saint Gianna Molla, married with children, a doctor, and known to offer her life if it came to a choice between herself and the child in her womb. She is the Patron of mothers, physicians, and pre born children. Sister Elisa received Blessed (soon to be Saint) John Paul, born Karol Jozef Wojtyla became the 264th Pope in October 1978, and the first non-Italian pope in 400 years. One of his key teachings, the series of addresses on ‘The Theology of the Body’ continue to touch the lives of young people today. He was also an ardent defender of Human Life, and challenged the world to adopt a climate of forgiveness. Sister Teresa Celine received Saint Teresa of Avila, the great reformer of the Carmelites and considered the foundress of the Discalced. She was known as a woman of deep prayer, discipline and compassion. Her famous works ‘the Way of Perfection’ and ‘The Interior Castle’ still inspire many. She is the Patron of headache sufferers. Sister Linda received Blessed (Soon to be Saint) John XXIII, born Angelo Giuseppe Roncalli, becoming the 261st pope on October 28, 1958. He opened the 2nd Vatican Council in 1962. He is the Patron Saint of Papal Delegates. 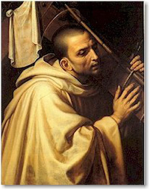 Sister Kay received Saint Bernard of Clarivaux, French Abbot and the primary builder of the reforming Cistercian order. 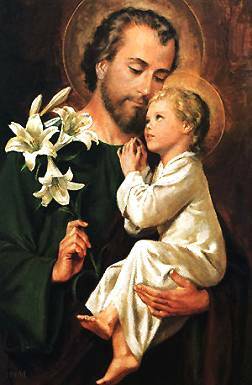 He is the Patron of candlemakers, beekeepers, and wax workers. That might seem like a strange Patron! I think Pope Emeritus Benedict XVI can help us from his Easter homily in 2012: “…the candle serves as a summons to us to become involved in the community of the Church, whose raison d’être is to let the light of Christ shine upon the world.” Therefore, let us ask St. Bernard to help us to lead a life so to emit the radiance of Christ. Challenge: St. Bernard would ask himself, “Why have I come here? and then remind himself of his main duty – lead a holy life. Sister Connie received Saint John of the Cross, Co-Reformer of the Discalced Carmelites, and was known to be a great spiritual director. From the midst of his greatest experiences of suffering we have today the Spiritual Canticle of the Soul and the Bridegroom Christ. He is the Patron Saint of mystics. Sister Rosetta received Saint Damien of Molokai, a priest of the Sacred Heart Fathers. He gave his life serving the lepers of Molokai, Hawaii. He is considered a “Martyr of Charity”. He is the Patron of those who suffer from Leprosy and HIV/AIDS. Sister Natalia also received Blessed John XXIII (to be Canonized April 17 with JPII). Angelo Giuseppe Roncalli became the 261st Pope on October 28, 1958. 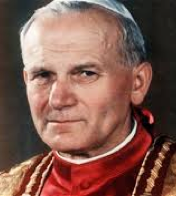 He opened the 2nd Vatican Council in 1962. He is the Patron Saint of Papal Delegates. 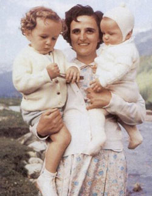 Sister Josephine also received Saint Gianna Berretta Molla, married with children, a doctor, and known to offer her life if it came to a choice between herself and the child in her womb. She is the Patron of mothers, physicians, and pre born children. 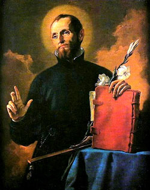 Sister Elizabeth received Saint Cajetan, Founder of the Theatines, and was known for his concern for the corruption of priests, and for the sick in hospitals. He is the Patron of the Unemployed. 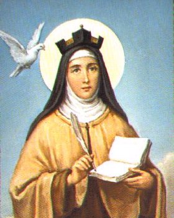 Sister Josie also received Saint Teresa of Avila, who in establishing her new foundations was constantly on the move. This is an appropriate saint for Sr Josie, as she travels the four corners of the Archdiocese of Santa Fe to care for the spiritual needs of the incarcerated. May she have the untiring fire of God’s love burning in her like St Teresa! Sister Felicity received Saint Alphonsus Maria de Liguori, Founder of the Redemptorists and known as a good confessor. He is the Patron Saint against arthritis, scrupulosity, confessors, vocations, and final perseverance. 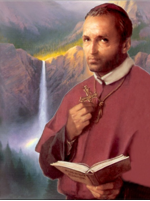 Challenge: At a young age, Saint Alphonsus vowed never to waste a moment of his life. In this challenge, he invites us to make the best of every opportunity we have to please God. Sister Cristina received Saint Francis of Assisi, Founder of the Franciscan Order. He rejected his wealth in order to live the Gospel. He received the stigmata in his hands, feet, and side. He is the Patron Saint of animals, merchants, and protector of the Canossians (Our Foundress, Saint Magdalene considered him her Spiritual Father). Sister Antoinette received Saint Josephine Bakhita, a Canossian Sister, and the first African woman to be Canonized. She was born in Sudan, kidnapped as a young girl and sold into slavery. She was brought to Italy where she learned of Jesus, was baptized and became a Canossian Sister. She is recently featured in a the film, “From Slave to Saint“ which captures her virtue very well. She is the Patron Saint against Human Trafficking, and of Sudan. Sister Marisa received Saint Lutgardis (What?!? ), a young woman with a fondness for worldly things, who was sent to the convent of the Benedictines when she was twelve because her father blew her dowry on a bad business deal. Around the age of eighteen she receives a vision of Christ showing his wounds. Her heart melts and her desire and vocation was firmly planted in that encounter. She entered with the Benedictines and later transferred to the Cistercians because she desired a more austere religious life. 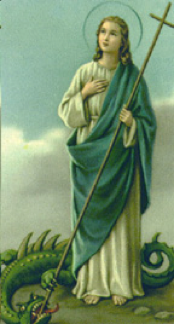 She is the Patron Saint of the blind, disabled, physically challenged, and childbirth. Sister Marilu received Blessed Fernanda Riva, a Canossian Sister sent as a Missionary to India when still a novice. She was known as the “Missionary of Joy” and was very good with helping the Youth to know and love God. She is a good intercessor for the needs of those who work with youth, teachers, and for those battling depression (because of her ever-present joy). Challenge: Keep in mind the people in your life who look to you for an example and guidance, and imagine them giving testimony of you one day in these words: “Our gracious Mother Fernanda loved us very much and we looked to her as our guide and strong support…a beacon that guided our way.” B. Anthraper (one of her students). 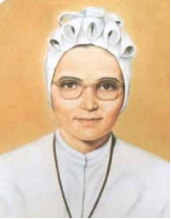 Date of Death: January 22, 1956 (does not yet have a feast day assigned; that will happen when she is eventually beatified). Sister Lupita received Mary, Undoer of Knots! Those who have been following our new Pontiff Francis would know this is one of his favorite devotions. Some background: artist Johann Melchior Georg Schmittdner painted Mary Undoer of Knots in late 1600’s. Since 1700, his painting has been venerated in the Church of St. Peter in Perlack, Augsburg, Germany (it was here that Pope Francis was introduced to the devotion and took the devotion back to Argentina with him). It was originally inspired by a meditation of Saint Irenaeus (Bishop of Lyon and martyred in 202) based on the parallel made by Saint Paul between Adam and Christ. Saint Irenaeus, in turn, made a comparison between Eve and Mary, saying:“Eve, by her disobedience, tied the knot of disgrace for the human race; whereas Mary, by her obedience, undid it”. She is a good Patron Saint for those who find themselves in impossible situations that seem to have no way to unravel themselves. Sister Betty also received Blessed (soon to be Saint) John Paul (featured above). His writings and speeches continue to instruct and inspire the Church in its constant call to fidelity to its past and an eye to the future. Reading his first encyclical, the Redeemer of Man, sets the tone for his whole pontificate to the dignity of the human person. the sole Redeemer of mankind. Lastly, I received Saint Martha (the sister of Mary and Lazarus) who busied herself with the pots and pans when Jesus stayed with them. She knew the love of Jesus, and showed her strong faith in her dialogue with Jesus following Lazarus’ death. She is the Patron Saint of cooks and servants. Well, I do feel challenged by all of these wonderful saints! What about you? Do you have a Patron Saint for 2014? Who chose you? Elizabeth Scalia tells of her three Patrons for this year. There are a lot of good Saints mentioned in the comments of my post on letting Saints pick you. If you haven’t received a Patron Saint yet, Jennifer Fulwiler’s Saint Generator is available to help you find one.